PT Perusahaan Listrik Negara (Persero) - PT PLN (Persero) or commonly abbreviated as "PLN" is an Indonesian state-owned electricity company. PLN has a right to monopoly on electricity distribution in Indonesia and operates primarily as an electricity power provider in Indonesia. Its business include generation, distribution, transmission and other electricity related services. 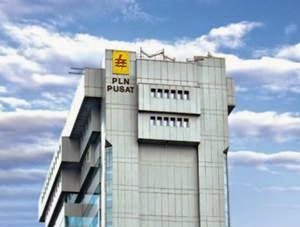 PLN is a non listed state-owned company and is fully-owned by the Indonesian Government. Headquartered in Jakarta, PLN runs its business through 15 area offices, 6 distribution unit offices, 2 Distribution and Load Control Centers, 6 Generation units, 14 Parent Project Units and 6 Central and Services Units throughout Indonesia. PLN also supported by 11 subsidiaries/affiliated companies. PLN’s business results in 2014 showed improved performance compared to 2013. According to PLN's Annual Report 2014 as cited by JobsCDC.com, PLN managed to record a total net sales of Rp 198.60 trillion at the end of 2014 or equal to an increase of around 5.89% compared to Rp 187.54 trillion in the previous year. Total net profit in 2014 amounted to Rp 11.7 trillion, compared with loss of Rp 26.2 trillion in 2013. Electronics, Instrumentation, Control (Code : S1/ALE) - Not Telecommunication. Electronics, Instrumentation, Control (Code : D.III/ALE) - Not Telecommunication. Status single / unmarried and willing not to get married during the "Diklat Prajabatan" training program. S1/D.IV : Birth in 1990 and thereafter. DIII : Birth in 1992 and thereafter. JobsCDC.com now available on android device. Download now on Google Play here. Please be aware of recruitment fraud. The entire stage of this selection process is free of charge. PT PLN (Persero) - D3, D4, S1 Fresh Graduate General Recruitment Program PLN February 2016 will never ask for fees or upfront payments for any purposes during the recruitment process such as transportation and accommodation.